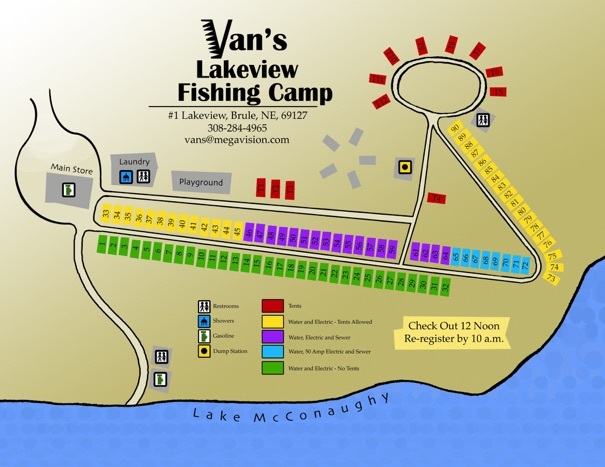 The campground at Van’s Lakeview is located right along the sandy beaches. We have close to 100 hook-ups to water and electricity, of which 16 of those are full hook-ups. For those that want to “rough it”, we have primitive sites available. See all rates below. We also have a dump station available for those without a full hook-up. Our general store holds almost everything you may have forgotten or run out of. For those with kids, a playground is located close by. Pets are welcome in camp, however, we do require pets to be on a leash and with you at all times. We also ask that you clean up after them. Reservations can be made via email starting February 1, through May 5, phone calls welcome after that date. Holiday weekends MUST be paid IN FULL at the time of booking or reservation will be cancelled. NO REFUNDS on holiday cancellations. A NONREFUNDABLE deposit is REQUIRED on all reservations. 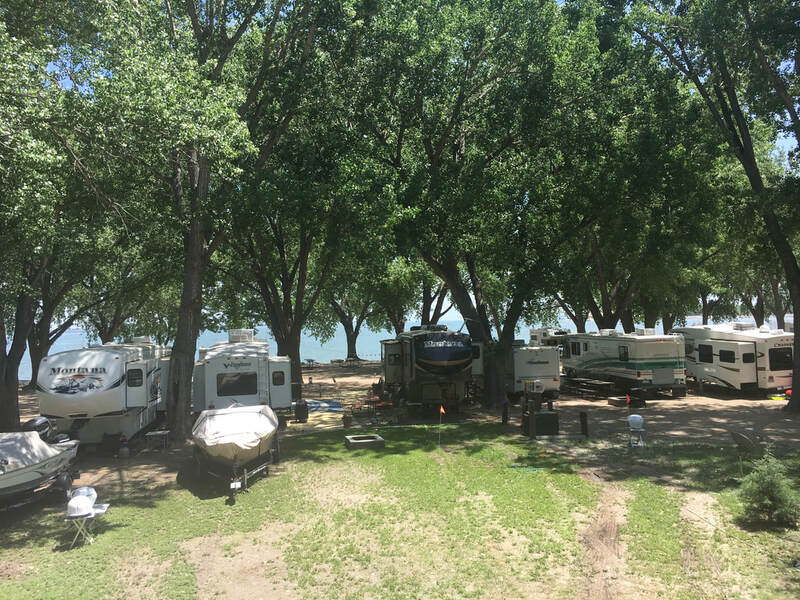 There is a 3 night minimum on all reservations taken before May 1. After a full day of fishing, swimming or lounging on the beach, take a hot shower in our all tile shower house. Wash away the sand and dirt in our metered shower's which are open twenty four hours a day. We have also added a Laundromat for those that need to wash the sand from their clothes at the end of the day. **All prices are for parties of 1-4 people per sleeping unit. 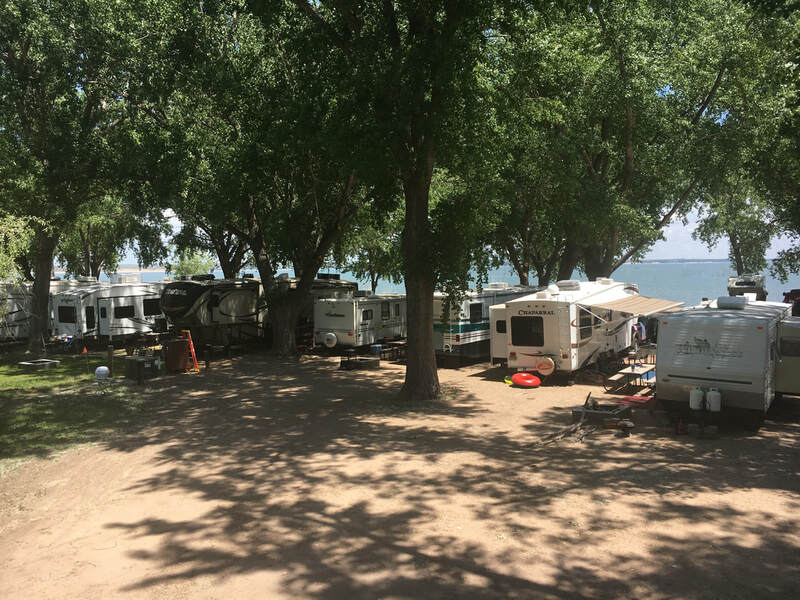 $1.00 charge extra per person per night.Additional tents and vehicles are not allowed on sites. Tenters must purchase their own site and extra vehicles must be parked in designated areas. Tenters are NOT allowed on the front row of hook-ups regardless of whether or not they purchase a site.There is a 3 night minimum on all reservations taken before May 1.